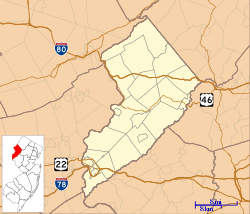 Map of Hackettstown in Warren County. 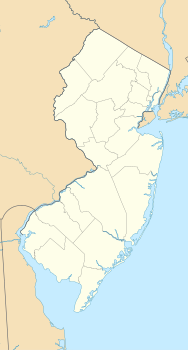 Inset: Location of Warren County highlighted in the State of New Jersey. Hackettstown is a town in Warren County, in the state of New Jersey, United States. As of the 2010 United States Census, the town's population was 9,724, reflecting a decline of 679 (-6.5%) from the 10,403 counted in the 2000 Census, which had in turn increased by 2,283 (+28.1%) from the 8,120 counted in the 1990 Census. The town is located in the easternmost region of the Lehigh Valley. Hackettstown houses the headquarters of Mars Chocolate USA, the American division of Mars, Incorporated, makers of Milky Way, Mars, M&M's, Twix and Snickers candy bars, as well as pet foods (such as the well-known Whiskas and Pedigree brands), human foods (including Uncle Ben's) and non-confectionery snack foods (including Combos). It is believed that Hackettstown was named after Samuel Hackett, an early settler and large landowner. Hackett is said to have "contributed liberally to the liquid refreshments on the christening of a new hotel, in order to secure the name which, before this, had been Helms' Mills or Musconetcong". William Johnson (1817 - 1891) was a prime mover in getting the town incorporated in 1853. He and his brother George (1815 - 1889) were successful merchants in the town beginning in 1839 when they began operating the W.L. & G.W Johnson dry good store. The two men were very active in community affairs. George was a member of First Presbyterian Church, a director of the Hackettstown National Bank, and a member of the Hackettstown Water Board. Both men were involved in the establishment of the Union Cemetery. In 1925, a train wreck in the town killed about 50 people and injured about 50 others en route to Hoboken, New Jersey from Chicago. The derailment involved a Lackawanna Railroad train and occurred on Rockport Road in the early morning at approximately 3:30AM. The event made national headlines and stands as the deadliest event in Warren County history. In 1977, a mass shooting occurred in the town when a 20-year-old former U.S. Marine named Emil Pierre Benoist, a graduate of Hackettstown High School, shot and killed six people and took random shots at passing cars over the course of about four hours before turning his sniper rifle on himself. According to the United States Census Bureau, the town had a total area of 3.712 square miles (9.613 km2), including 3.607 square miles (9.341 km2) of land and 0.105 square miles (0.272 km2) of water (2.83%). The town is located in a valley along the banks of the Musconetcong River. As of the 2010 United States Census, there were 9,724 people, 3,575 households, and 2,255.825 families residing in the town. The population density was 2,696.1 per square mile (1,041.0/km2). There were 3,755 housing units at an average density of 1,041.1 per square mile (402.0/km2). The racial makeup of the town was 85.08% (8,273) White, 2.46% (239) Black or African American, 0.24% (23) Native American, 4.97% (483) Asian, 0.05% (5) Pacific Islander, 5.19% (505) from other races, and 2.02% (196) from two or more races. Hispanic or Latino of any race were 15.16% (1,474) of the population. There were 3,575 households out of which 29.4% had children under the age of 18 living with them, 49.5% were married couples living together, 8.6% had a female householder with no husband present, and 36.9% were non-families. 30.0% of all households were made up of individuals, and 12.3% had someone living alone who was 65 years of age or older. The average household size was 2.48 and the average family size was 3.09. In the town, the population was spread out with 20.3% under the age of 18, 14.5% from 18 to 24, 25.5% from 25 to 44, 25.5% from 45 to 64, and 14.1% who were 65 years of age or older. The median age was 37.3 years. For every 100 females there were 91.8 males. For every 100 females ages 18 and older there were 91.4 males. The Census Bureau's 2006-2010 American Community Survey showed that (in 2010 inflation-adjusted dollars) median household income was $62,215 (with a margin of error of +/- $6,907) and the median family income was $82,216 (+/- $10,611). Males had a median income of $51,489 (+/- $5,850) versus $41,822 (+/- $5,248) for females. The per capita income for the borough was $29,433 (+/- $2,122). About 4.4% of families and 7.7% of the population were below the poverty line, including 11.4% of those under age 18 and 6.4% of those age 65 or over. As of the 2000 United States Census there were 10,403 people, 4,134 households, and 2,530 families residing in the town. The population density was 2,809.5 people per square mile (1,085.6/km2). There were 4,347 housing units at an average density of 1,174.0 per square mile (453.6/km2). The racial makeup of the town was 90.25% White, 2.18% African American, 0.12% Native American, 2.91% Asian, 0.06% Pacific Islander, 2.00% from other races, and 2.47% from two or more races. Hispanic or Latino of any race were 8.01% of the population. There were 4,134 households out of which 30.2% had children under the age of 18 living with them, 48.0% were married couples living together, 9.3% had a female householder with no husband present, and 38.8% were non-families. 31.7% of all households were made up of individuals and 11.0% had someone living alone who was 65 years of age or older. The average household size was 2.41 and the average family size was 3.10. In the town, the population was spread out with 22.7% under the age of 18, 10.0% from 18 to 24, 33.9% from 25 to 44, 21.2% from 45 to 64, and 12.2% who were 65 years of age or older. The median age was 35 years. For every 100 females, there were 92.8 males. For every 100 females age 18 and over, there were 89.6 males. The median income for a household in the town was $51,955, and the median income for a family was $64,383. Males had a median income of $44,420 versus $31,110 for females. The per capita income for the town was $24,742. About 2.3% of families and 4.8% of the population were below the poverty line, including 4.9% of those under age 18 and 7.1% of those age 65 or over. Skyland Roller Girls, founded in 2008, bouted out of Excel Roller Skating Center in town until it closed in late 2011. It is now an Indoor Sports and Events facility named Hackettstown Indoor Sports Academy, located at 13 Route 57 - Hackettstown NJ. The Jersey Express, a team in the American Basketball Association moved to Hackettstown in late 2012, and played in the gym at Centenary University . Hackettstown High School is known for its sports teams, collectively known as the Tigers. The group recently moved into the Northwest Jersey Athletic Conference. The Centenary University teams are known as the Cyclones. The Town of Hackettstown operates under a mayor-council form of government. It was created by a special charter adopted by the New Jersey Legislature and approved by the voters in 1970, under which the town is governed by a strong mayor who serves a three-year term of office and six councilpersons who are elected at large to three-year terms of office on a staggered basis, with two seats up for election each year. The mayor is the town's chief executive officer, overseeing its day-to-day operation and presenting an annual budget. The council is the town's legislative body. The mayor attends town council meetings, but may only vote in the event of a tie. The mayor may veto ordinances passed by the council, which can be overridden with the votes of four council members. As of 2018[update], the mayor of Hackettstown is Republican Maria DiGiovanni, whose term of office ends December 31, 2020. Members of the Hackettstown Town Council are Gerald DiMaio Jr. (Acting Mayor, when necessary; R, 2019), Matthew Engelau (Alternate Acting Mayor, when necessary; R, 2019), Leonard Kunz (R, 2020), James Lambo (R, 2018; elected to serve an unexpired term), Scott Sheldon (R, 2018) and Eric Tynan (R, 2020). James Lambo was selected from a list of three candidates nominated by the Republican municipal committee to fill the seat expiring in December 2018 that became vacant following the resignation of William Conforti in August 2016 after he announced that he was moving out of the municipality. Lambo served on an interim basis until the November 2016 general election, when he was elected to serve the balance of the term of office. Hackettstown is located in the 5th Congressional District and is part of New Jersey's 23rd state legislative district. As of March 23, 2011, there were a total of 5,410 registered voters in Hackettstown, of which 1,169 (21.6% vs. 21.5% countywide) were registered as Democrats, 1,764 (32.6% vs. 35.3%) were registered as Republicans and 2,468 (45.6% vs. 43.1%) were registered as Unaffiliated. There were 9 voters registered to other parties. Among the town's 2010 Census population, 55.6% (vs. 62.3% in Warren County) were registered to vote, including 69.8% of those ages 18 and over (vs. 81.5% countywide). In the 2012 presidential election, Republican Mitt Romney received 1,973 votes (52.2% vs. 56.0% countywide), ahead of Democrat Barack Obama with 1,661 votes (44.0% vs. 40.8%) and other candidates with 77 votes (2.0% vs. 1.7%), among the 3,777 ballots cast by the town's 5,516 registered voters, for a turnout of 68.5% (vs. 66.7% in Warren County). In the 2008 presidential election, Republican John McCain received 2,090 votes (52.7% vs. 55.2% countywide), ahead of Democrat Barack Obama with 1,724 votes (43.4% vs. 41.4%) and other candidates with 64 votes (1.6% vs. 1.6%), among the 3,969 ballots cast by the town's 5,437 registered voters, for a turnout of 73.0% (vs. 73.4% in Warren County). In the 2004 presidential election, Republican George W. Bush received 2,368 votes (60.3% vs. 61.0% countywide), ahead of Democrat John Kerry with 1,492 votes (38.0% vs. 37.2%) and other candidates with 48 votes (1.2% vs. 1.3%), among the 3,928 ballots cast by the town's 5,241 registered voters, for a turnout of 74.9% (vs. 76.3% in the whole county). In the 2013 gubernatorial election, Republican Chris Christie received 72.5% of the vote (1,543 cast), ahead of Democrat Barbara Buono with 25.6% (545 votes), and other candidates with 1.9% (41 votes), among the 2,166 ballots cast by the town's 5,608 registered voters (37 ballots were spoiled), for a turnout of 38.6%. In the 2009 gubernatorial election, Republican Chris Christie received 1,547 votes (61.1% vs. 61.3% countywide), ahead of Democrat Jon Corzine with 662 votes (26.1% vs. 25.7%), Independent Chris Daggett with 250 votes (9.9% vs. 9.8%) and other candidates with 30 votes (1.2% vs. 1.5%), among the 2,533 ballots cast by the town's 5,321 registered voters, yielding a 47.6% turnout (vs. 49.6% in the county). The Hackettstown School District serves students in kindergarten through twelfth grade. As of the 2012-13 school year, the district's four schools had an enrollment of 1,842 students and 141.9 classroom teachers (on an FTE basis), for a student–teacher ratio of 12.98:1. Schools in the district (with 2012-13 enrollment data from the National Center for Education Statistics) are Hatchery Hill School (K-4; 230 students), Willow Grove School (K-4; 298), Hackettstown Middle School (5-8; 358) and Hackettstown High School (9-12; 956). Students from the townships of Allamuchy, Independence, and Liberty, attend the district's high school as part of sending/receiving relationships. For the 2001-02 school year, Hackettstown Middle School was recognized with the National Blue Ribbon Award from the United States Department of Education, the highest honor that an American school can achieve. Students from the town and from all of Warren County are eligible to attend Ridge and Valley Charter School in Frelinghuysen Township (for grades K-8) or Warren County Technical School in Washington borough (for 9-12), with special education services provided by local districts supplemented throughout the county by the Warren County Special Services School District in Oxford Township (for PreK-12). Centenary University, a private college affiliated with the United Methodist Church, was founded in 1867 and received approval in 1995 to grant master's degrees. WXPJ, 91.9 on the FM dial - Centenary University radio. WRNJ, known as "Oldies 1510 WRNJ" at 1510 on the AM dial, is licensed to Hackettstown. It is also simulcast on FM translators on FM 92.7 and FM 104.7. The main office for The Warren Reporter, a free weekly newspaper delivered to 42,000 households in Warren County, is on East Moore Street. As of May 2010[update], the town had a total of 34.47 miles (55.47 km) of roadways, of which 28.83 miles (46.40 km) were maintained by the municipality, 2.96 miles (4.76 km) by Warren County and 2.68 miles (4.31 km) by the New Jersey Department of Transportation. Passing through Hackettstown are U.S. Route 46, Route 57, and County Route 517. Route 182 exists completely within the boundaries of Hackettstown. Interstate 80 runs to the north of the town. The Hackettstown station is the western terminus of the NJ Transit Morristown Line and the Montclair-Boonton Line, which both provide service to Hoboken Terminal with connections to Pennsylvania Station in Midtown Manhattan via Midtown Direct trains. New Jersey Transit bus service used to be provided on the MCM5 and 973 local routes before they were discontinued. See also: Category:People from Hackettstown, New Jersey. John D. Bulkeley (1911-1996) Vice Admiral in the United States Navy, Medal of Honor winner, PT boat skipper who evacuated General Douglas MacArthur from Corregidor. Christina Desiderio (born 2000), artistic gymnast. Brian Fallon (born 1980), lead singer for The Gaslight Anthem / The Horrible Crowes. John Clifford Heed (1862–1908), composer and musician, best known for composing over 60 marches. Izetta Jewel (1883-1978), born Izetta Jewel Kenney, actress and women's rights activists. Michael B. Lavery, current Chairman of the New Jersey State Republican Party and former two-term Hackettstown Mayor, from 2005 to 2011. William Logan (1914-2002), cyclist who competed in the tandem and team pursuit events at the 1936 Summer Olympics. The Semonski Sisters, family musical act that appeared on television's The Lawrence Welk Show from 1975 to 1977. Joe Stanowicz (1921-1999), football player who attended the United States Military Academy where he played at the guard position for the Army Black Knights football team. George Theodore Werts (1846-1910), Governor of New Jersey (1893-1896). ^ a b Hackettstown's Governing Body, Town of Hackettstown. Accessed February 2, 2018. Note that, as of date accessed, mayor and councilmembers Kunz and Tynan are incorrectly listed with term-end years of 2023. ^ 2017 New Jersey Mayors Directory, New Jersey Department of Community Affairs. Accessed May 30, 2017. As of date accessed, DiGiovanni is listed as mayor with an incorrect term-end year of 2019. ^ Town Department's Contact List, Town of Hackettstown. Accessed February 2, 2018. 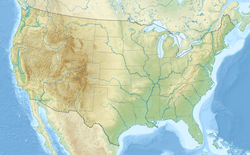 ^ U.S. Geological Survey Geographic Names Information System: Town of Hackettstown, Geographic Names Information System. Accessed March 5, 2013. ^ a b c d e f DP-1 - Profile of General Population and Housing Characteristics: 2010 for Hackettstown town, Warren County, New Jersey, United States Census Bureau. Accessed June 5, 2013. ^ a b c Profile of General Demographic Characteristics: 2010 for Hackettstown town, New Jersey Department of Labor and Workforce Development. Accessed June 5, 2013. ^ a b GCT-PH1 Population, Housing Units, Area, and Density: 2010 - State -- County Subdivision from the 2010 Census Summary File 1 for New Jersey, United States Census Bureau. Accessed June 5, 2013. ^ Look Up a ZIP Code for Hackettstown, NJ, United States Postal Service. Accessed July 6, 2012. ^ Zip Codes, State of New Jersey. Accessed September 12, 2013. ^ Area Code Lookup - NPA NXX for Hackettstown, NJ, Area-Codes.com. Accessed September 12, 2013. ^ A Cure for the Common Codes: New Jersey, Missouri Census Data Center. Accessed July 6, 2012. ^ Snyder, John P. The Story of New Jersey's Civil Boundaries: 1606-1968, Bureau of Geology and Topography; Trenton, New Jersey; 1969. p. 246. Accessed July 6, 2012. ^ Mars United States, Mars, Incorporated. Accessed June 5, 2013. "Mars Chocolate has nine factories in North America and is headquartered in Hackettstown, New Jersey." ^ via the Trenton Monitor. "Origin of Geographical Names in New Jersey", Camden Democrat, August 12, 1865. Accessed July 6, 2012. "Hackettstown - After Samuel Hackett, an early settler." ^ Gannett, Henry. The Origin of Certain Place Names in the United States, p. 146. United States Government Printing Office, 1905. Accessed March 17, 2015. ^ Northwestern New Jersey–-A History of Somerset, Morris, Hunterdon, Warren, and Sussex Counties, Vol. 2. (A. Van Doren Honeyman, ed. in chief, Lewis Historical Publishing Co., New York, 1927) p. 689. ^ Best Places to Live 2005: No. 72 - Hackettstown, NJ, Money (magazine), backed up by the Internet Archive as of July 6, 2008. Accessed March 17, 2015. ^ Brock, Donna. "The Mystery of Tillie Smith", Hackettstown Historical Society. Accessed July 6, 2012. ^ Sullivan, Denis. In Defence of Her Honor: The Tillie Smith Murder Case. Flemington: D.H. Thoreau Books, 2000. ^ "Big Toll Taken In A New Jersey Wreck. Latest Report Shows At Least 27 Were Killed. Thunderstorm Clogged A Switch With Sand Causing A Derailment. ", GenDisasters.com, June 16, 1925. Accessed March 17, 2015. ^ Staff. "Derailed In Big Storm; Special Train Leaves Rails in Early Morning Near Hackettstown. ", The New York Times, June 17, 1925. Accessed July 6, 2012. "Hackettstown, N.J., June 16. -- Thirty-nine persons are dead and 48 are in hospitals, as the result of the wreck of a special train early this morning on the Delaware, Lackawanna Western Railroad near here, and about sixty miles from New York." ^ Staff. "Wreck Death List Now 45 In Jersey; One More Victim Dies and 13 Others Are in a Critical Condition. Funeral Special Departs Bodies Due in Chicago Tomorrow -- Coroner's Inquest Is Set for Monday Night. ", The New York Times, June 19, 1925. Accessed July 6, 2012. ^ Times, Special To The New York (1977-08-27). "Sniper Slays 6 in Jersey And Then Takes Own Life". The New York Times. ISSN 0362-4331. Retrieved 2017-06-14. ^ Times, Pranay Gupte Special To The New York (1977-08-29). "Quarrels at Home Cited as Cause in Jersey Shootings". The New York Times. ISSN 0362-4331. Retrieved 2017-06-14. ^ Library, C. N. N. "Rampage Killings Fast Facts". CNN. Retrieved 2017-06-14. ^ History, Borough of Washington. Accessed June 5, 2013. "Upper Pohatcong Mountain extends northeast of Washington approximately 6 mi (10 km) to the vicinity of Hackettstown." ^ Compendium of censuses 1726-1905: together with the tabulated returns of 1905, New Jersey Department of State, 1906. Accessed June 4, 2013. ^ Raum, John O. The History of New Jersey: From Its Earliest Settlement to the Present Time, Volume 1, p. 272, J. E. Potter and company, 1877. Accessed June 4, 2013. "Hackettstown contained in 1860, 1,351 inhabitants, and in 1870 2,202." ^ Staff. A compendium of the ninth census, 1870, p. 260. United States Census Bureau, 1872. Accessed June 4, 2013. ^ Porter, Robert Percival. Preliminary Results as Contained in the Eleventh Census Bulletins: Volume III - 51 to 75, p. 100. United States Census Bureau, 1890. Accessed June 4, 2013. ^ Thirteenth Census of the United States, 1910: Population by Counties and Minor Civil Divisions, 1910, 1900, 1890, United States Census Bureau, p. 339. Accessed June 4, 2013. ^ Fifteenth Census of the United States : 1930 - Population Volume I, United States Census Bureau, p. 719. Accessed June 4, 2013. ^ a b c d e Census 2000 Profiles of Demographic / Social / Economic / Housing Characteristics for Hackettstown town, United States Census Bureau. Accessed July 6, 2012. ^ a b c d e DP-1: Profile of General Demographic Characteristics: 2000 - Census 2000 Summary File 1 (SF 1) 100-Percent Data for Hackettstown town, New Jersey, United States Census Bureau. Accessed July 5, 2012. ^ DP03: Selected Economic Characteristics from the 2006-2010 American Community Survey 5-Year Estimates for Hackettstown town, Warren County, New Jersey, United States Census Bureau. Accessed July 6, 2012. ^ Home page, Skyland Roller Girls. Accessed July 6, 2012. ^ Loigu, Andy. "Sports Chatter: New Jersey Express call Centenary home this winter", Warren Reporter, February 16, 2013. Accessed June 5, 2013. "The New Jersey Express has been in the circuit that brought the red, white and blue ball and three-point shot into the sport 45 years ago, since 2005, but is in its first season of calling the Reeves Gymnasium and Hackettstown its home." ^ About Athletics, Centenary University. Accessed July 13, 2008. ^ Town of Hackettstown Organization, Town of Hackettstown. Accessed July 3, 2006. ^ 2017 Municipal Data Sheet, Town of Hackettstown. Accessed February 2, 2018. ^ 2015 Official Directory Warren County, New Jersey, Warren County, New Jersey. Accessed February 2, 2018. ^ a b General Election November 8, 2016, Warren County Official Tally, Warren County, New Jersey, updated November 16, 2016. Accessed January 30, 2017. ^ General Election November 3, 2015 Warren County Official Tally, Warren County, New Jersey, updated November 6, 2015. Accessed August 7, 2016. ^ Novak, Steve. "Another Warren County town dealing with elected officials' resignations", The Express-Times, October 4, 2016. Accessed February 2, 2018. "Councilman William Conforti resigned from the municipal government Aug. 5 because he was moving out of town.... Council appointed James Lambo to fill the slot. His name is to be put on November ballot to fill the remainder of the term, which expires at the end of 2018, town Clerk/Administrator William Kuster said." ^ a b Voter Registration Summary - Warren, New Jersey Department of State Division of Elections, March 23, 2011. Accessed June 5, 2013. ^ GCT-P7: Selected Age Groups: 2010 - State -- County Subdivision; 2010 Census Summary File 1 for New Jersey, United States Census Bureau. Accessed June 5, 2013. ^ Presidential November 6, 2012 General Election Results - Warren County, New Jersey Department of State Division of Elections, March 15, 2013. Accessed June 5, 2013. ^ Number of Registered Voters and Ballots Cast November 6, 2012 General Election Results - Warren County, New Jersey Department of State Division of Elections, March 15, 2013. Accessed June 5, 2013. ^ 2008 Presidential General Election Results: Warren County, New Jersey Department of State Division of Elections, December 23, 2008. Accessed June 5, 2013. ^ 2004 Presidential Election: Warren County, New Jersey Department of State Division of Elections, December 13, 2004. Accessed June 5, 2013. ^ 2009 Governor: Warren County, New Jersey Department of State Division of Elections, December 31, 2009. Accessed June 5, 2013. ^ District information for Hackettstown School District, National Center for Education Statistics. Accessed March 2, 2015. ^ School Data for the Hackettstown School District, National Center for Education Statistics. Accessed March 2, 2015. ^ Hatchery Hill School, Hackettstown School District. Accessed March 2, 2015. ^ Willow Grove School, Hackettstown School District. Accessed March 2, 2015. ^ Hackettstown Middle School, Hackettstown School District. Accessed March 2, 2015. ^ Hackettstown High School, Hackettstown School District. Accessed March 2, 2015. ^ New Jersey School Directory for the Hackettstown School District, New Jersey Department of Education. Accessed December 29, 2016. ^ Hackettstown High School 2013 Report Card Narrative, New Jersey Department of Education. Accessed July 20, 2016. "Hackettstown High School serves the communities of Hackettstown, Allamuchy, Independence, and Liberty." ^ a b Municipal Guide to Public School Districts, Warren County, New Jersey. Accessed August 7, 2016. ^ Blue Ribbon Schools Program: Schools Recognized 1982-1983 through 1999-2002 (PDF), United States Department of Education. Accessed June 5, 2013. ^ History, Centenary University. Accessed July 6, 2012. "Founded in 1867 by the Newark Conference of the United Methodist Church, Centenary University has evolved from a coeducational preparatory school into a modern, independent, four-year baccalaureate and master-level institution of higher learning." ^ The Warren Reporter, NJN Publishing. Accessed March 17, 2015. ^ Warren County Bus rail Connections, NJ Transit, backed up by the Internet Archive as of May 22, 2009. Accessed June 6, 2013. ^ Warren County Transportation (WCT) Demand Response, Warren County, New Jersey. Accessed March 2, 2015. "The Hackettstown/Washington Shuttle runs Monday - Friday starting at 8:00 a.m. and the last run begins at 4:30 p.m. Shuttles operate on a schedule with stops every 60-minutes at key locations along the route." ^ Hackettstown-Washington Route 57 Shuttle Map, Warren County, New Jersey. Accessed March 2, 2015. ^ Vachon, Duane. "John D. Bulkeley Vice Admiral USN – A Gitmo Hero, Hawaii Reporter, March 21, 2014. accessed January 17, 2019. "John Duncan Bulkeley was born on August 19, 1911 at New York City. He grew up on a farm in Hackettstown, New Jersey and graduated from Hackettstown High School." ^ Staff. "Sororities Admit 85 At Centenary Junior; Majority of Students Named to Three Societies Are From New York Area", The New York Times, November 21, 1937. Accessed September 12, 2018. "Miss Bette Cooper of this community, who was chosen Miss America for 1937 at the Atlantic City beauty contest in September, is a new member of Delta Sigma Sigma." ^ MacFarland, James M. "No Headline", The New York Times, October 16, 1983. Accessed July 6, 2012. "If memory serves me correctly, Miss Cooper then lived in Hackettstown, where her parents lived. She confounded the Atlantic City pageant officials by not returning for the after-contest festivities. Later, she attended Centenary College in Hackettstown." ^ "Katrina Courter, Taylor Whitman", The New York Times, September 10, 2006. Accessed September 20, 2007. "Katrina Janis Courter, a daughter of Carmen and former Representative Jim Courter of Hackettstown, N.J., and Taylor Prentice Whitman, the son of former Gov. Christie Todd Whitman and John Russell Whitman of Oldwick, N.J., were married yesterday at Watch Hill Chapel in Rhode Island." ^ Reinhard, Paul. "Christina Desiderio heads to U.S. Olympic Trials in California this week, keeping alive a streak for her Allentown gymnastics training center", The Morning Call, July 4, 2016. Accessed September 10, 2017. "Desiderio, who will be 16 next month, came to the Parkettes gym just prior to her 10th birthday when another gym just five minutes from her Hackettstown, N.J., home was no longer a challenge for her." ^ Assemblyman John DiMaio, New Jersey Legislature. Accessed July 19, 2011. ^ Jordan, Chris. "Gaslight Anthem guys teach old friends American Slang", Courier News, July 29, 2010, backed up by the Internet Archive as of October 2, 2012. Accessed September 10, 2017. "DuHamel and Gaslight's Brian Fallon have been friends since the two spent their teenage years in Hackettstown together." ^ Sunderman Conservatory Wind Symphony program, Gettysburg College, December 4, 2015. Accessed September 10, 2017. "John Clifford Heed was born in Hackettstown, New Jersey in April of 1862." ^ Hopper, Ken; Hopper, Will. The Puritan Gift: Triumph, Collapse and Revival of an American Dream, p. xiii. I.B.Tauris, 2007. ISBN 9781850434191. Accessed August 12, 2013. ^ Izetta Jewel Papers, Harvard University. Accessed August 30, 2012. ^ Morrow, Geoff. "Commentary: Cole Kimball provides the Harrisburg Senators serious attitude", The Patriot-News, August 15, 2010. Accessed May 30, 2013. "Born in Brooklyn, N.Y., Kimball lived in the New York City borough until he was 7. Then his family, including two sisters and a brother, moved to Hackettstown, N.J.... After college stints at St. John's University and Division III Centenary College, the latter just down the street from his Hackettstown home, Kimball was selected in the 12th round by the Washington Nationals in the 2006 amateur draft." ^ Michael B. Lavery, Lavery, Selvaggi, Abromitis & Cohen, P.C. Accessed September 10, 2017. "Mr. Lavery served as the Mayor of Hackettstown for two terms from 2005-2011." ^ William Logan Bio, Stats, and Results, Sports Reference. Accessed September 10, 2017. ^ Havsy, Jane. "Olympic Dreams Come True", Daily Record (Morristown), September 14, 2000. Accessed May 10, 2011. "Gymnast Kristen Maloney was born in Hackettstown though she attended Pen Argyl, Pa High School and trains with the Parkettes in Pennsylvania." ^ The Semonski Sisters, WelkMusicalFamily.com. Accessed September 10, 2017. ^ Sommers, Michael W. "TV play gives audiences a prime time", The Star-Ledger, December 3, 2007. Accessed May 10, 2011. "A rumpled, dreamy-eyed Farnsworth is portrayed by Jimmi Simpson (a Hackettstown native) with mild manners and a deep sense of purpose." ^ Staff. "Speedy Backs and Sturdy Line Factors in Army's Success; Cadets Unbeaten In Three Starts", The New York Times, October 13, 1943. Accessed September 12, 2018. "Joe Stanowicz, a Hackettwtown, N. J., boy who later went to Blair Academy, where he starred as fullback, has been remolded into a tackle, giving the Cadets two 215-pounders at theses important slots, while McCorkle is a converted end." ^ "New Jersey Governor George Theodore Werts", National Governors Association. Accessed September 10, 2017. "George T. Werts, the thirty-fifth governor of New Jersey, was born in Hackettstown, New Jersey on March 24, 1846." ^ "He's baaack &#151; 'Naked Cowboy' belts out tunes in Times Square". DeseretNews.com. 2001-07-29. Retrieved 2019-01-19. Wikimedia Commons has media related to Hackettstown, New Jersey.